14 Escape Publishing authors (including me! ), one contemporary romance, 15 happy endings. Welcome to Cafe Nix. 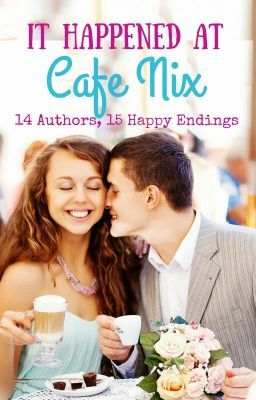 Cafe Nix is a collaboration between 14 Escape authors to bring readers epilogues, extra scenes, and all-new material featuring favourite characters from Escape contemporary titles. Each chapter is an original short story of its own, dropping you straight back into the lives of characters already let loose in the world in previously or soon to be published Escape books as they spend time at Sydney’s harbourside cafe, Cafe Nix. My story is called Angry Birds and Turtle Doves, and it features Seth and Remy from my next Escape Publishing title, So Far Into You. (No release date unfortunately – this book won’t be out till much later in the year). Who are the Cafe Nix authors? Where can you get It Happened at Café Nix? It will be released on Wattpad on April 2 and later will be available as a complete volume through Smashwords. I’ll let you know when my story comes up! Short stories are hard work…is it any easier with characters you already know? Short stories are hard work – I agree. I think it may well be easier with characters you know. Also, Ainslie Paton for Escape Publishing came up with the idea – so we all had a central theme to work around – this being “a day at Cafe Nix”. We each nominated an hour/time of day for when our characters would be in the cafe. Mine is there for dinner, around 8pm at night and my character Seth, is actually in the cafe on his own. I think he may be one of the only stories (or Ainslie’s might be on his own also) where only one character is involved. But each character interacts with the owner, ‘Nix’ in the Cafe, or other waiters/cafe characters. Writing 3000 words for Cafe Nix was a lot of fun. It actually helped me fight my writer’s block last year – it made my So Far Into You longer novel easier to keep working through somehow. Hard to explain. Interesting question Carol! I think some times it might help to be given some perimeters/ themes/settings etc I think It might be easier to have a definitive theme than the whole of the universe of permutations you could possibly write about… which I think makes it hard to start…too many options. It certainly forces you to think and write ( I think) 🙂 Stops the procrastinating. I suffer with procrastinating. What a cute cover. Great initiative! You are a woman of many talents Ms Malone! And commitment phobes will love the idea of bite-sized reads (or simply the time-poor). Great stuff.